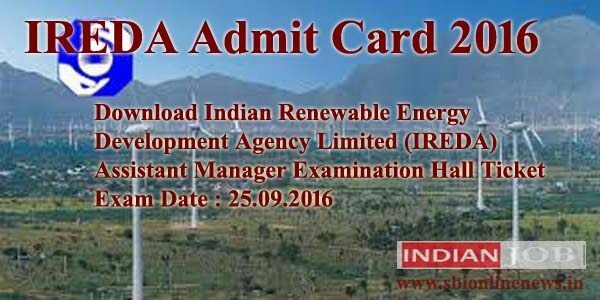 Indian Renewable Energy Development Agency Limited (IREDA) is going to conduct the IREDA Assistant Manager Exam on 25th September 2016 at various examination centers, so applied candidate can download their respective IREDA Admit Card 2016. Here below on this web page we have described the information about IREDA Assistant Manager Admit Card 2016. So, applicants are suggested to read the complete IREDA Assistant Manager call Letter 2016 article below for all the latest updates or candidates may visit www.ireda.gov.in. IREDA Assistant Manager Hall Ticket 2016 : IREDA is a Public Limited Government Company established as a Non-Banking Financial Institution in 1987 engaged in promoting, developing and extending financial assistance for setting up projects relating to new and renewable sources of energy and energy efficiency/conservation with the motto: “ENERGY FOR EVER”www.ireda.gov.in. 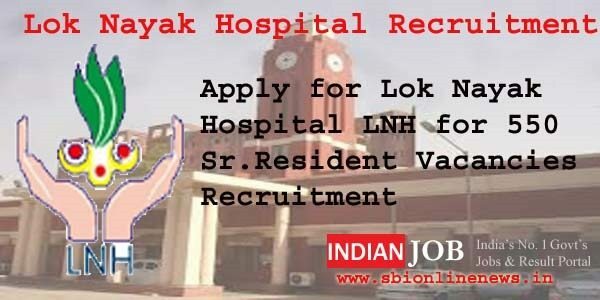 It conducts various examinations for the recruitment of eligible candidates in different departments. Organization Name : Indian Renewable Energy Development Agency Limited (IREDA). Type of Company : Mini Ratna Category-I PSU Company. Name of Exam : IREDA Assistant Manager Recruitment Exam 2016. Written Test For : 46 Assistant Manager Post. Date of Written Test : 25th September 2016. IREDA Admit Card status : Available for download. IREDA Recruitment 2016 : Indian Renewable Energy Development Agency Limited IREDA has declared notification that online application forms are invited from eligible candidates for filling up 46 Assistant Manager, Senior Manager, Public Relation Officer and other posts for Technical Services Post. IREDA registration process has began from 10th April 2016 and last date for submitting the application forms is 8th May 2016. Candidates first need to register themselves successfully with the IREDA. Then they will be provided Registration ID and Password. IREDA Assistant Manager Exam Scheme 2016 : The candidates, who have shortlisted for ireda asst. manager examination 2016, are eligible to download IREDA Admit Card 2016. Before attend the exam, you can check the details about examination scheme. IREDA written test paper will be objective types & mcq based. Each question shall carry of one marks and there will be negative marking. Each right answer shall carry of 01 marks, at while each wrong answer deduct your 0.25 mark from your obtained marks. IREDA assistant manger question paper will be 120 questions in which 60 marks allotted for General Knowledge, Numerical & General Aptitude English & 60 Marks from Concern Subjects. You may find more details like date & time of assistant manager written test & venue of examination, given as below. IREDA Assistant Manager Score Card 2016 : This year it has released notification for the Assistant Manager posts and the candidates who had applied can download admit card from the official website www.ireda.gov.in. Indian Renewable Energy Development Agency Limited (IREDA) is going to conduct written examination for the recruitment of Assistant Manager posts on 25th September 2016. IREDA Assistant Manager Admit Card 2016 Details : So it is very compulsory that candidates should download the IREDA Assistant Manager Admit Card 2016 from the official site of IREDA Assistant Manager. Also the admit card 2016 for IREDA Assistant Manager Recruitment Exam should be downloaded on A4 size paper. It is very mandatory to download the IREDA Assistant Manager Recruitment Exam Admit Card 2016 from official website of IREDA as without it participants cant write the examination. They will not be allowed to sit in the examination hall. Simultaneously the participants are supposed to carry their one ID proof at the exam center for verification purposes. www.ireda.gov.in IREDA Asst. Manager Admit Card 2016 : A huge number of candidates who are looking for the govt. reda.gov.in. jobs applied for these posts. All the candidates who had applied are searching for the IREDA Asst. Manager Admit Card as it is the crucial document to carry for the examination and contains details regarding exam venue, roll number etc. IREDA released Asst. Manager Admit Card. 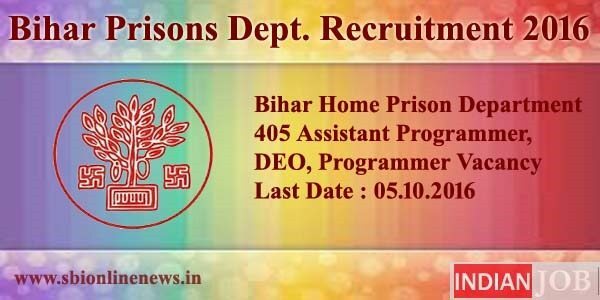 Candidates can download admit card from the direct link provided below. Click on IREDA Asst. Manager Admit Card 2016. Enter your Email ID and registered mobile number in the provided fields. The IREDA Admit Card 2016 will appear on the screen. IREDA Admit Card 2016 for 46 Assistant Manager, Senior Manager, Public Relation Officer and other posts for Technical Services Post. To appear in IREDA Assistant Manager Recruitment Exam candidates must have their IREDA Assistant Manager hall ticket with them. Exam will held on 25th September 2016.